Published by Pantheon and available for preorder now. A moving, inspiring portrait of making a dream come true--the (unsentimental) education of a champion surfcaster (catching fish by casting a line from the shoreline). The midnight (and early morning) tales of a young woman hell-bent on following her dream and learning the mysterious and profound sport--and the art, of surfcasting on the small, legendary island of Martha's Vineyard, breaking through the strictly enforced male-bastion of fishing life to become a world-class sportsman at a time when few women fished. Janet Messineo writes of mastering surfcasting during the daylight and struggling with it on the beaches at night ... She writes of the Vineyard fishermen she's fished with and the fishing women who've forged the path for others. She describes the unspoken "fishing ethic" and the age-old secrecy behind fishing techniques, lures and baits, fishing locations, and writes of her own favorite spots on the island and on Chappaquiddick, of her Derby years and dreams of catching that prize-winning elusive striper; about acquiring, not only the skill of hooking and landing a big fish, but the skill of finding them. Full of adventure and daring--a rich portrait of following one's vision and heart. Janet Messineo was born in Lawrence, Massachusetts and has been living on Martha’s Vineyard since 1966. She has been fishing the shoreline of the Vineyard and Chappaquiddick for more than 40 years. Messineo has contributed to and been featured in many books and magazines including Reading the Water, Robert Post, An Amazing Story of the Vineyard’s Derby, Ed Jerome and Ray Ellis, The Big One, David Kinney, On the Run, David DiBenedetto, New England Stripers, a Fishing Anthology, On the Water. Offshore, Cape Cod Life, Vineyard Style and Martha’s Vineyard Magazine, The New York Times and The Boston Globe. 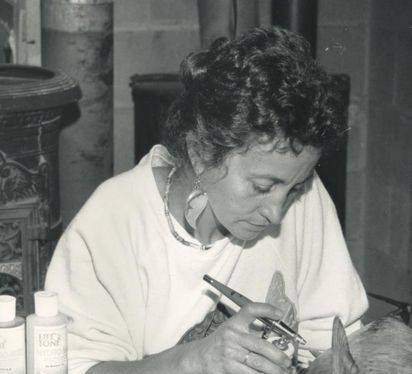 Messineo has been a professional fish taxidermist since 1987 when she graduated of from the Pennsylvania Institute of Taxidermy. Her extensive personal collection of mounted fish will be on permanent display at the newly built Historical Museum in Vineyard Haven. 2019 will be her 42th year participating in the Martha’s Vineyard Striped Bass and Bluefish Derby. 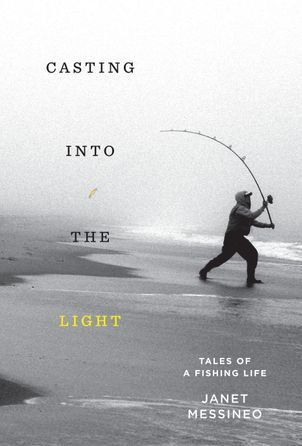 Messineo’s long awaited book, her first, will be published in June 2019 by Pantheon Books, Casting into the Light, Tales of a Fishing Life.